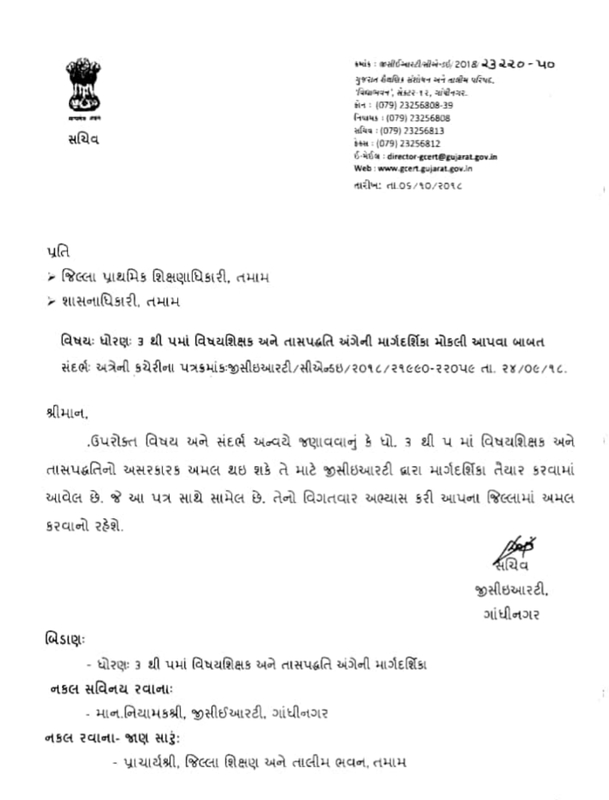 STD-3-4-5 MA TAS PADDHATI BABAT PARIPATRA DATE -6-10-2018. 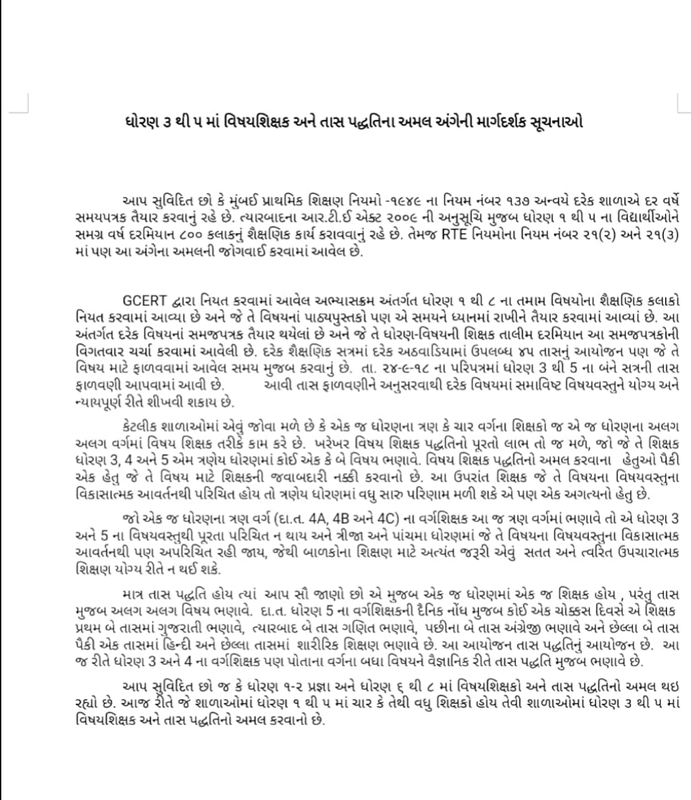 STD-3-4-5 MA TAS PADDHATI BABAT PARIPATRA DATE -6-10-2018.Friends , We Published daily educational news, New jobs, CCC, Results, Call Letters, Jobs in Gujarat, Bank jobs in Gujarat,Bank Jobs in India, GK ,GK Gujarat, Current Affairs, Dailya Current Affairs,technology news,cricket news in Our website. 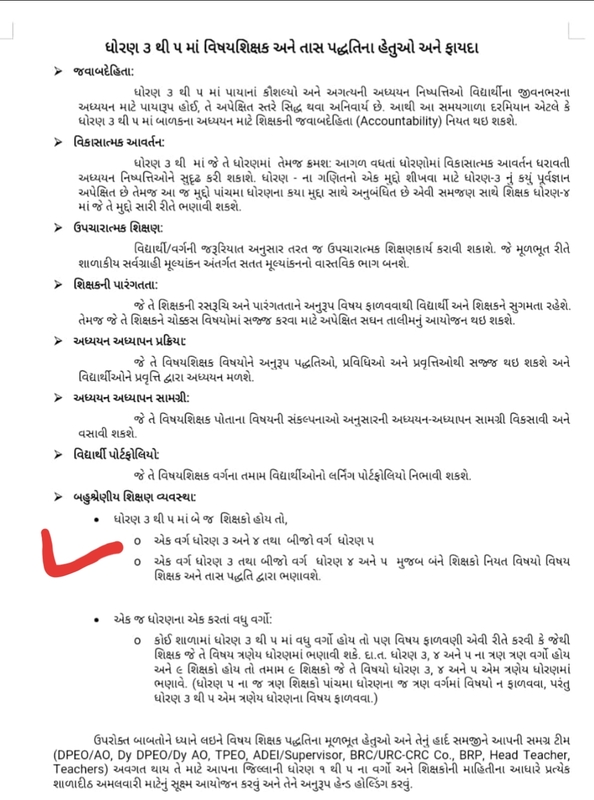 we are also updates latest Gujarat all competitive study materials,PSI /ASI Bharti Study Materials, TET TAT HTAT Study Materials ,GPSC Study Materials, CCC Exam Study Materials, GPSC Class 1-2 Exam Latest Study Materials , GSRTC Conductor Exam Study Materials in Our Site, We are Also Published Upcoming GSEB TET Exam 2018 ,GSEB TAT Exam 2018, GPSC Various Exam 2018, GSSSB Exam 2018,Talati Bharti 2018, Junior Clerk Bharti 2018, Vidyasahayak Bharti 2018,HTAT Bharti 2018, TAT Bharti 2018, GSERB Shikshan Sahayak Bharti 2018. GK,GK Gujarat Daily GK Updates ,GK updates ,India General Knowledge ,Expected General Knowledge Quiz -Questions / Answer ,Gujarat GK, GK for Gujarat ,GK Updates Gujarat, GK Gujarat ,for All Competitive Exam -many Candidates are preparing for various governments competitive examinations and if they want to prepare their General Knowledge subject.they can check your knowledge with our post.here are important current affairs -GK questions with answers that will help you all for any competitive exams.we have updates today daily Gk – Current affairs of of every day to day ,current affairs 2018 .this Current affairs /gk questions with answers that will help you all for Government Competitive exams - UPSC,SSC,IBPS,Banks and any other exams.